Canada is a must-do on any adventure traveler’s bucket list. Named the number one country to visit in 2017 by Lonely Planet, Canada is famous for breathtaking mountains, magical white winters and maple syrup, having more lakes than all other countries combined, (really wild) wildlife and a delightful reputation for politeness. If you visit anywhere in Canada in this winter, it’s highly recommended that you take a drive up the renowned Sea To Sky Highway and visit the mountain resort of Whistler, British Columbia. Whistler may ring a bell as one of the top ski and snowboard destinations in the world and host to the 2010 Winter Olympics, and you’d be right, but that is just the tip of the iceberg. In this local’s guide, you’ll discover a different side to Whistler. One full of wonder, nature, and west coast Canadian adventure with a side of waffles and bacon, eh! Each item on this list has been given two big thumbs-up by Summit Lodge staff. Not only for the life-long memories they create, but also for their commitment to sustainable and environmentally-conscious business practices in the Whistler valley. 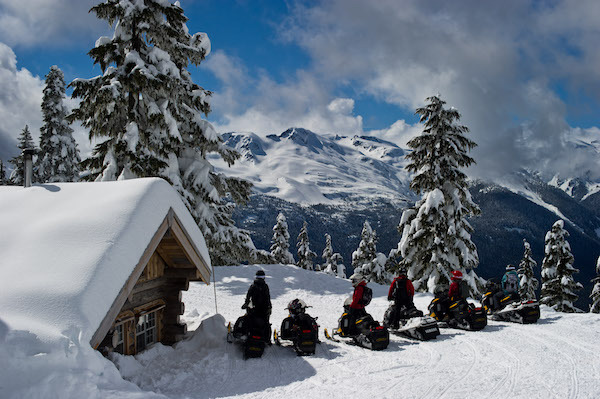 Ascend through the remote backcountry of the Callaghan Valley on your own personal snowmobile to a rustic cabin on Sproatt Mountain where a full Canadian Yukon breakfast will be prepared on an old fashioned wood stove. 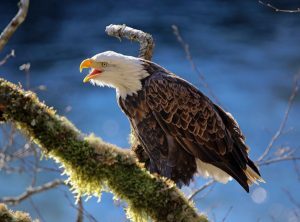 Explore a 420-acre Ecological Reserve near the Cheakamus River that is home to the largest winter nesting ground of bald eagles in North America. Wind through snow covered forest on freshly groomed Olympic trails. Routes change daily with snow conditions and night riding is available on Wednesday after 5 pm. 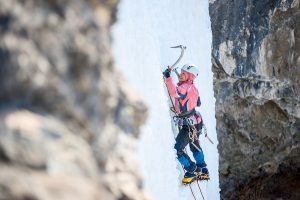 Ice filled canyons, single pitch, multi pitch or mixed climbs these professional ACMG guides will find a spectacular ice climb perfect for any ability. Hop into a 4-person bobsled and take an adrenaline-fueled ride down the world’s fastest track. Sign up for both the bobsleigh and the skeleton experiences and get a 50% discount when you book over the phone. Tried and tested, and thoroughly recommended by guests at the Summit Lodge.